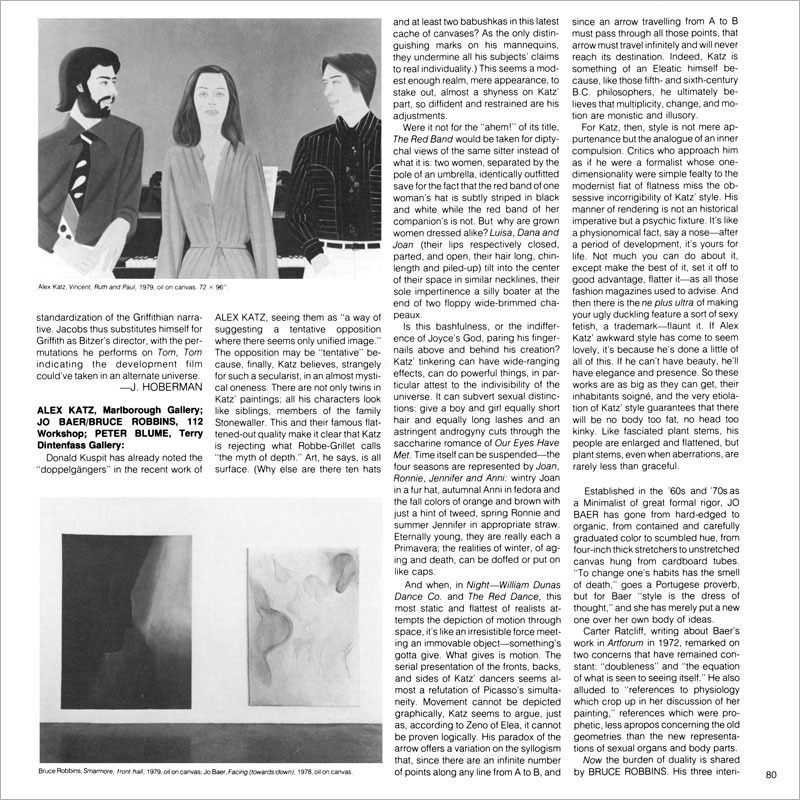 Established in the ’60s and ’70s as a Minimalist of great formal rigor, Jo Baer has gone from hard-edged to organic, from contained and carefully graduated color to scumbled hue, from four-inch thick stretchers to unstretched canvas hung from cardboard tubes. “To change one’s habits has the smell of death,” goes a Portuguese proverb, but for Baer “style is the dress of thought,” and she has merely put a new one over her own body of ideas. 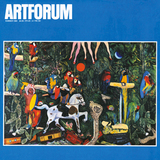 Carter Ratcliff, writing about Baer’s work in Artforum in 1972, remarked on two concerns that have remained constant: “doubleness” and “the equation of what is seen to seeing itself.” He also alluded to “references to physiology which crop up in her discussion of her painting,” references which were prophetic, less apropos concerning the old geometries than the new representations of sexual organs and body parts.